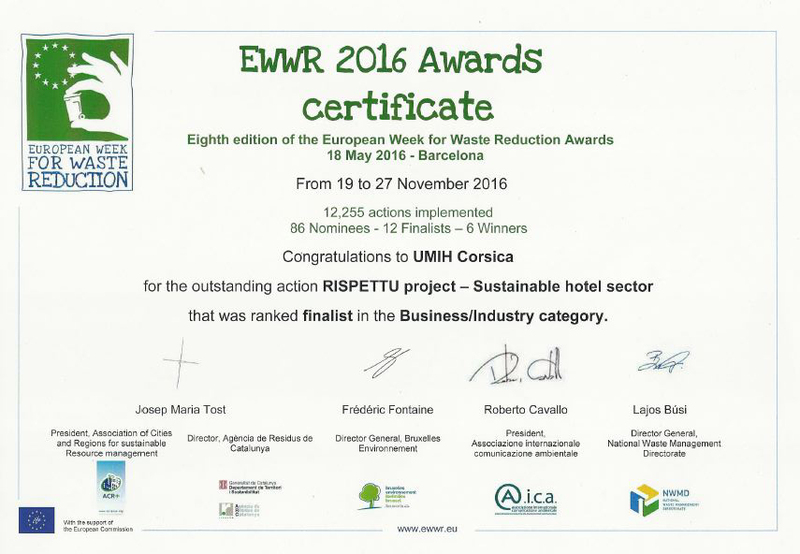 Corsica is respectful of the environment and the hoteliers from the Island of Beauty are the first to open the path of ecological tourism with Rispettu Hôtellerie Durable: waste reduction, energy saving and short circuits. 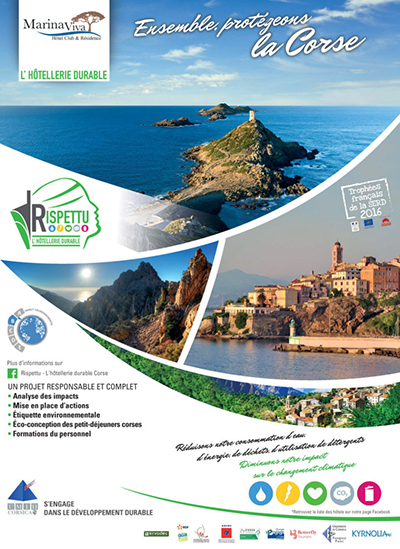 Rispettu Hôtellerie Durable is inviting Corsican tourism stakeholders to make tourist stays more eco-friendly. 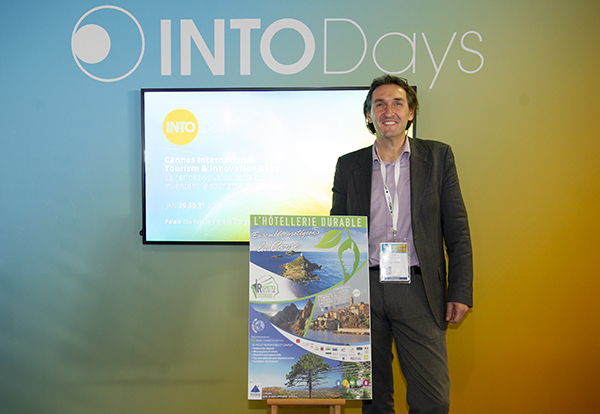 At the tradeshow INTO Days, which took place from January 29 to 31, 2019 in Cannes, the Corsica Tourism Agency has surrounded itself with the most innovative actors of the tourist ecosystem to carry the voice of a green tourism to preserve the natural beauty of the island and invest in an ever more qualitative stay for travelers who spend their holidays there. 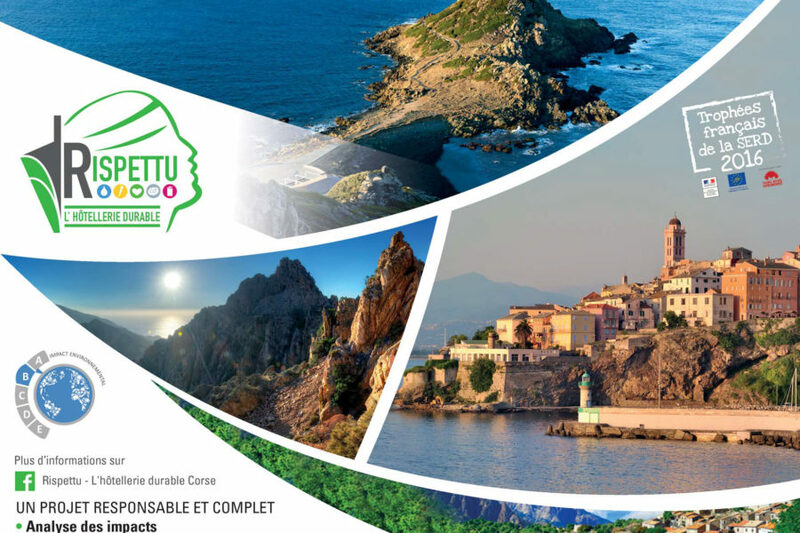 As part of an environmental policy, the Rispettu program, initiated by the Union des Métiers de l’Industrie Hôtelière (UMIH) Corsica, has implemented strong actions to protect the exceptional natural and cultural heritage of the Island of Beauty. Corsica has an exceptional natural heritage that earned it its name of Island of Beauty. This unique environment must be protected for the well being of future generations and the many tourists attracted by its charms, its sumptuous landscapes and its local gastronomy. 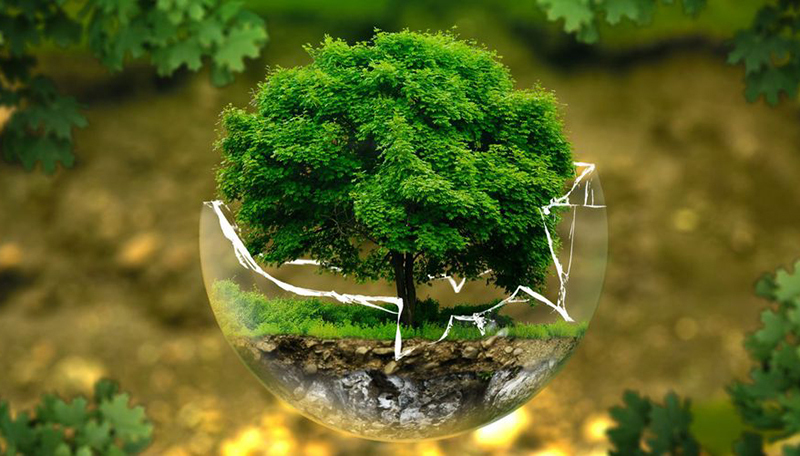 Reducing greenhouse gas emissions, limiting water and energy consumption, reducing waste production, consuming local and organic food, these are the objectives of the Rispettu Hôtellerie Durable program. 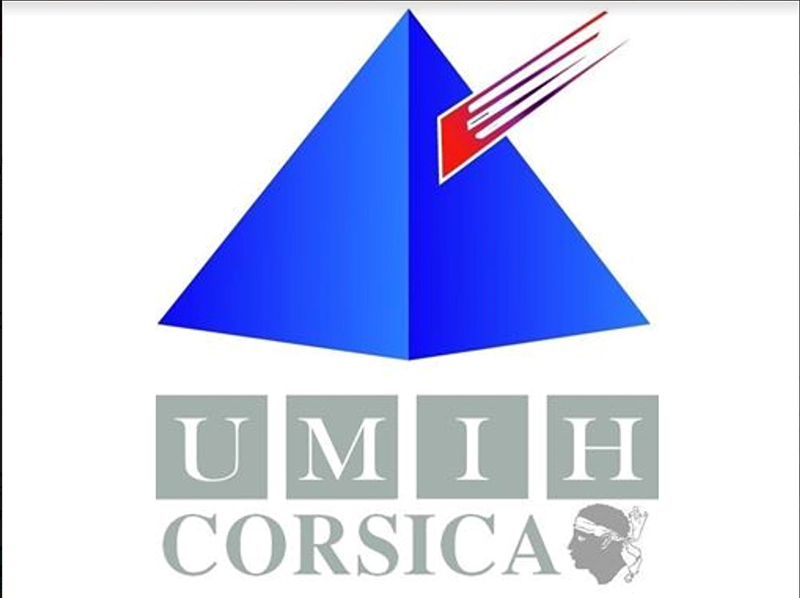 In this initiative, the UMIH Corsica is supported by many partners: Ademe Corse, the Corsican Office of Environment, EDF Kyrnolia, the CCI of Ajaccio and Southern Corsica. Technical support is provided by Betterfly Tourism, Réactif Consultant and students from the Università di Corsica Pasquale Paoli. The Syvadec (Mixed Syndicate for the Valorization of Waste in Corsica) also participated in the supply of battery boxes, lamps boxes and composters. A relationship with the concerned communities has been established to provide collection and selective sorting equipment. Struggle to protect the climate, the soil, the oceans, the biodiversity, struggle for a renewable energy and an economy in which nothing is lost and everything is transformed. 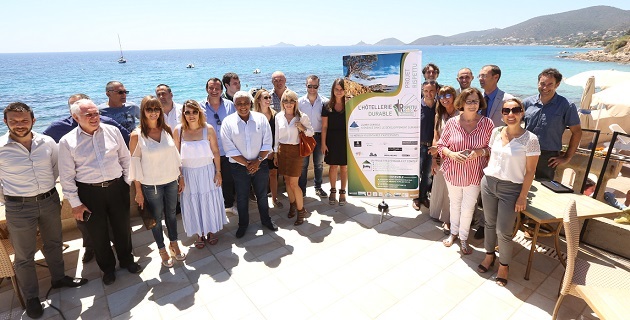 Raising awareness about the needed ecological actions, to be applied on a daily basis, in order to promote tourism and sustainable development, is a work that is constantly being carried out by tourism stakeholders in Corsica. To preserve the resources and the nature of their island, about twenty hoteliers are engaged in an innovative aproach in term of sustainable and eco-responsible tourism. 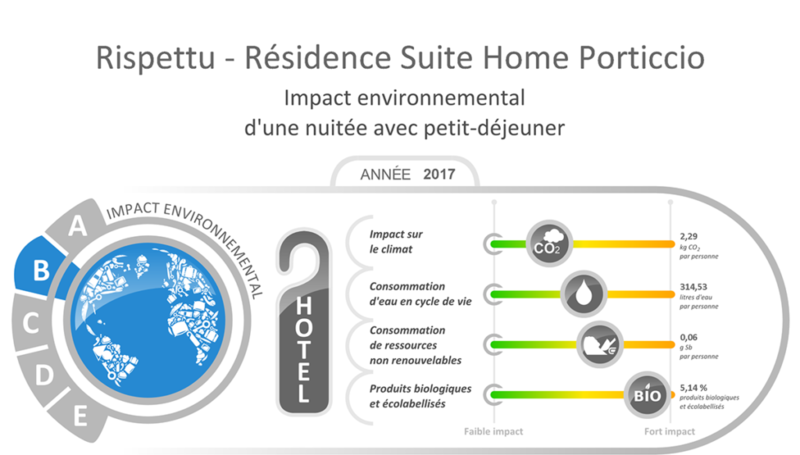 The aim of the Rispettu Hôtellerie Durable program is to reduce the environmental impact of these hotels and reduce their operating costs through the organization of “green stays”. To the tourists who agree to enjoy a green eco-citizen stay, the opportunity is given to spend a great holiday without waste. 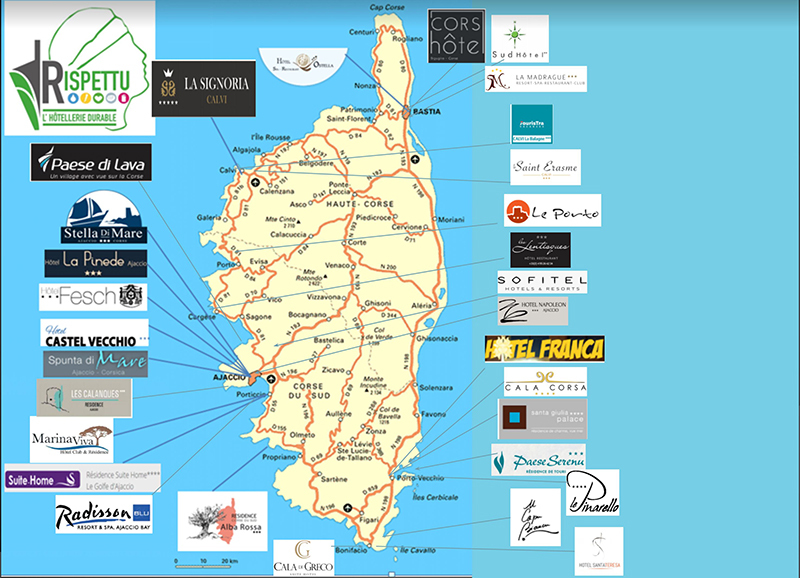 Of their own free will, they must commit themselves to respect the green charter set up by the Union of Corsican Hoteliers. For that, they must affirm their adhesion by signaling it at the reception of the hotel. They will then be given a small label to highlight their commitment. Hotel guests who commit to adhering to the Stay + Green Charter must use heating and air conditioning in a reasonable way: 22 degrees in winter and 25 degrees in summer and not let any heat source run unnecessarily or open windows. Protect their room from the summer sun by using the curtains and let it come in the winter. Tourists are also committed to using only environmentally friendly transport such as electric public transport, cycling, walking and even carpooling to reduce congestion and costs. A suggestion box, available in the hotel, will allow tourists to propose new solutions, even the smallest, to protect the island but also the planet. Before their departure, eco-friendly tourists will be able to post a green comment of satisfaction online to encourage other tourists to follow their example. 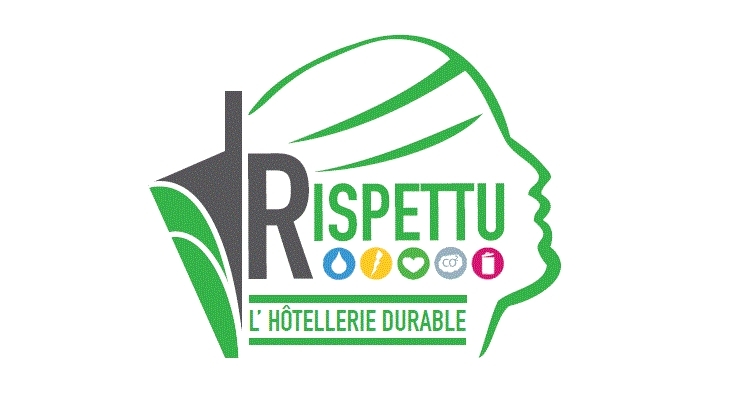 During their next green stays, they can book directly on the website of Rispettu hotels in Corsica or hotels with an environmental label on the continent. 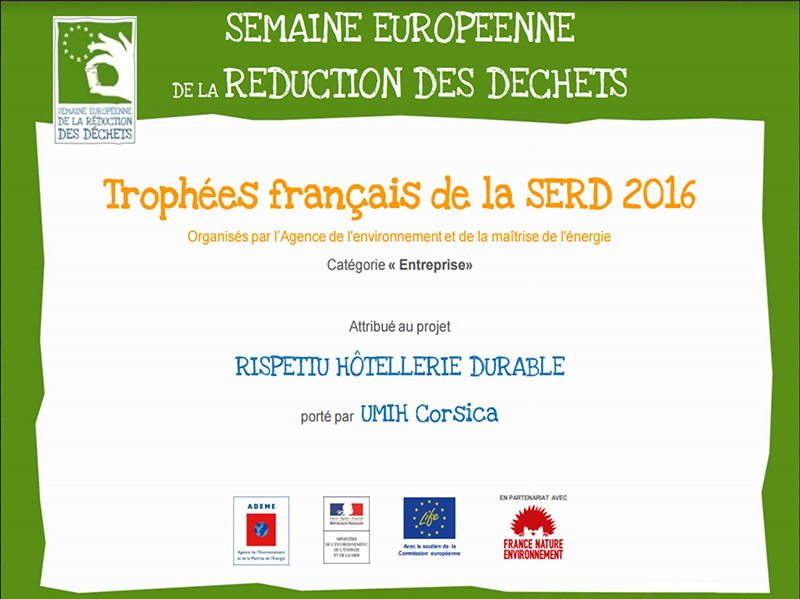 Rispettu Hôtellerie Durable has been awarded the 2016 SERD French Trophy. Together, let’s protect Corsica. Sign up with us! 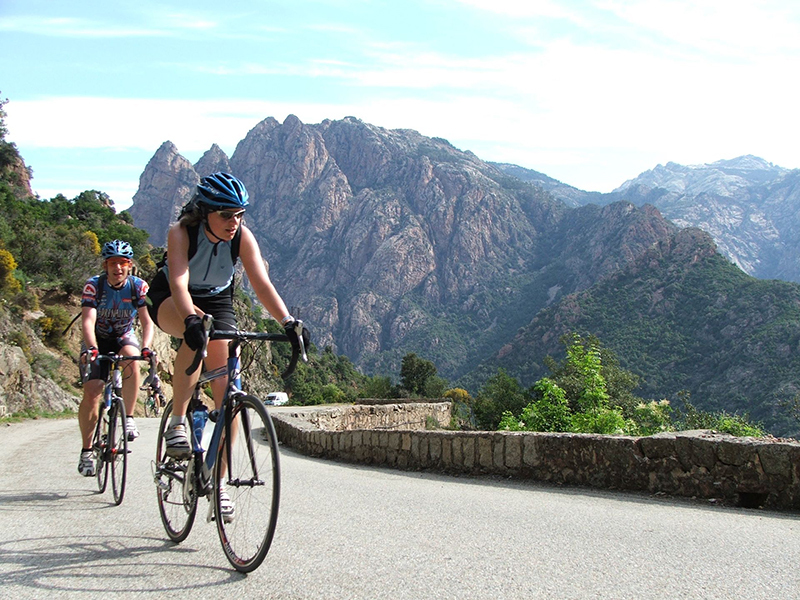 Corsica has 300,000 inhabitants and welcomes more than 3 million visitors a year! With this influx of visitors, many questions arise: How to process garbage generated? How to produce enough energy and drinking water? How to provide home products, cleaning products, or foodstuffs for a visiting population that is 10 times bigger than the number of inhabitants? In order to preserve our environment, the resources and the natural heritage so appreciated by the visitors, discover our approach for a stay + green with “the same comfort, less the environmental impact (in less) ». To be part of our approach, it’s very simple! Highlight the label “Together protect Corsica” to adopt with us sustainable attitudes and behaviors! – I use heating and air conditioning comfortably and reasonably, 22 degrees in winter and 25 degrees during summertime! – I turn off the heating or air conditioning when I open the windows. – I do not leave my computer or phone plugged in unnecessarily. – I use the curtains to protect my room from the sun during summer and let it come in during winter. Did you know ? Midway between open and closed curtains, we measured a 10 degrees difference. – Use of presence detector lights. Rooms equipped with energy savers automatically switch off the lighting when the room is unoccupied, with low consumption LED bulbs. – My sheets and towels are changed at my request only. – Between uses, my towels and bath mats are well positioned for drying so I can reuse them. Did you know ? By dripping 5 seconds after the shower, my towel will be 3x less wet. – I do not run tap water unnecessarily while brushing my teeth or shaving. – The customer should use a reusable bottle rather than buying plastic bottles at the hotel. – I do not smoke in the room to avoid the use of toxic products to remove cigarette smells. Did you know : to get rid of the smell of cigarette in a room we use 10 times more cleaning products. – I use the pool shower for 1 minute which divides by 2 the amount of pool maintenance products. Purchase organic or eco-labeled maintenance products, biodegradable cleaning and body care products. – I serve myself as many times as I want but in small quantities to be sure not to waste. Give priority to handicrafts and the consumption of local products. – I practice waste sorting with trash bins available and I want to receive my invoice in electronic format. Reusable glass water tumblers in bathrooms. Offer soap / shampoo wall dispensers. The customer uses only what he needs and avoids waste. Use of invoices / digital documents concerning office automation in general. – I use as much as possible less environmentally-aggressive modes of transport such as public transport, biking, walking or carpooling to reduce my impact, my costs and traffic jams. – I share my good green ideas directly with the hotel staff or in the suggestion box. Before leaving, I write a satisfaction comment online. During and after my stay I encourage other people to choose the greener stay! Compulsory training for all teams and transversal communication would be crucial. Did you know? 20% of satisfied customers publish an online comment, 80% of unsatisfied customers publish an online comment.